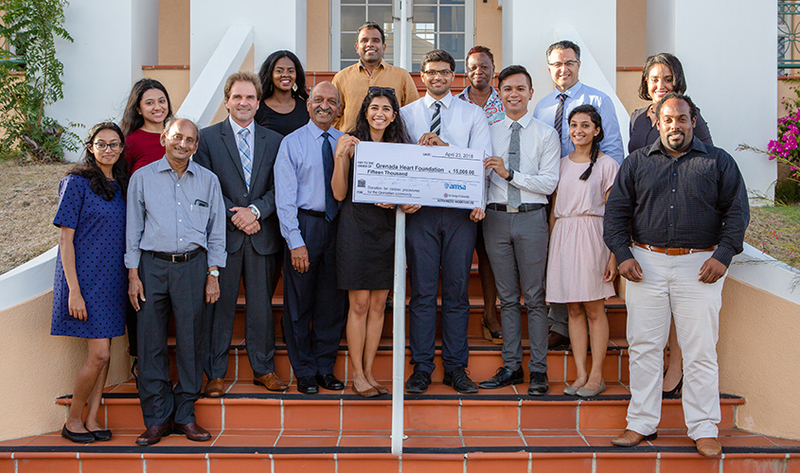 St. George’s University’s chapter of the American Medical Student Association (AMSA) recently presented a donation of EC$15,000 to the Grenada Heart Foundation (GHF)—the latest in a decades-long partnership to help provide lifesaving interventional cardiac procedures to the most vulnerable. Funds were raised at this year’s Valentine’s Day Date Auction, the group’s biggest and most popular fundraising event of the year. Featuring donations from local businesses and paired with students showcasing various talents, prizes including restaurant vouchers, two-night hotel stays, and a catamaran cruise were auctioned off as “dates” for potential bidders. The evening included a fire-breather, a belly dancer, and several musicians and dancers. In the last five years alone, AMSA SGU has donated more than EC$100,000 to the GHF through a series of annual, student-organized, community-supported fundraising events. According to Devangi Dave, Secretary of AMSA SGU, its biggest draw, the Valentine’s Day Date Auction, has had “dates” go for four, five, or even 10 times their actual worth because of the audience’s willingness to support this worthwhile charity. The Grenada Heart Foundation was established in 1984 when St. George’s University was approached for assistance in obtaining heart surgery for a young Grenadian child. Since then, more than 300 children and young adults have received crucial cardiovascular care through direct funding and philanthropic partnerships. Today, the GHF is administered by St. George’s University and is generously supported by corporate entities as well as civic and community organizations. 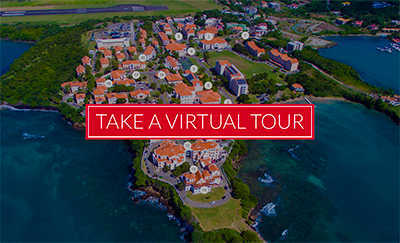 All of its services are supported by donors, including the Government of Grenada, Rotary International, American Airlines, Caribbean Airlines, Virgin Atlantic, Children’s Health Organization Relief and Educational Services (CHORES), and a network of generous hospitals at which the patients are treated. The American Medical Student Association (AMSA) is the oldest and largest independent association of physicians-in-training in the United States. Today, AMSA is a student-governed, national organization committed to representing the concerns of physicians-in-training. AMSA members are medical students, premedical students, interns, residents, and practicing physicians. Founded in 1950, AMSA continues its commitment to improving medical training and has more than 62,000 national and international members.